Power Yoga: Strength, Sweat, and Spirit offers a thorough understanding of yoga for both beginners and those who practice yoga regularly. Recommended for: Anyone interested in yoga, especially power yoga! Author Leah Cullis is a power yoga teacher and a health coach. She has worked with the Baptiste Institute and studied under Jonny Kest and Lama Marut. From 2009 through 2016, Cullis organized the Yoga Garden at the annual White House Easter Egg Roll, leading a team of 30,000 participants as part of a presidential initiative encouraging healthy lifestyles for children and families. She teaches at conferences across the country. Cullis currently lives in Austin, Texas, where she leads teacher trainings, workshops, and classes. First off, this book is very thorough and very well done! Second, it focuses on "power" yoga. For those who have never done yoga, there are several different styles. 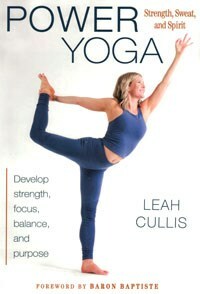 In the Introduction, author Cullis states that Power Yoga emerged in the US in the 1990s. She explains it as "an athletic, dynamic, and modern style of yoga that is deeply physical and therefore delivers results quickly." Chapter 1 is an overview of the history of yoga. Here, the author mentions that yoga has been around for more than 5000 years. She offers another definition of power yoga: "a fitness-based yoga practice, an American interpretation of ashtanga vinyasa yoga." She states that yoga is more of an unlearning process as opposed to learning something new. The author summarizes how she has benefited from yoga. In general, this chapter is well done. In Chapter 2, the author stresses the importance of identifying what you want to achieve, not only with yoga practice, but in life. Here, she also explains meditation. Chapter 3, "Power Principles," is appropriately titled. In this chapter, the author explains some fundamental elements of power yoga: breathing, maintaining stability during a pose, and the importance of sweating. Some heady concepts are presented here, too: energy locks and chakras. Chapters 4 through 10 present specific poses in the first half of each chapter (gray pages) followed by yoga "sequences" (ie., routines based on those specific poses) in the 2nd half (white pages). These chapters make up 232 pages of the book. Each sequence is easy to follow because each pose is accompanied by a small color photo of a person performing that pose. Chapter 11 is somewhat similar to Chapters 4-10 except that it simply offers a sequence specific for 4 activities: running, Cross-Fit, cycling, and team sports. However, the author doesn't provide any basis for why the specific poses are optimum for these activities. The first sentence in Chapter 12 is: "Now it's time to get started." This chapter, then, explains how to construct a 28-day program based on all of the preceding content. Sequences (routines) are provided for each of the 4 weeks. This chapter is well done. • Photos & Illustrations: There are lots of color photos. These are clear and help readers understand each pose. There are no illustrations. • Tables & Graphs: The book contains 2 tables. The table of Chakras (pp. 50-51) is detailed and multi-colored. There are no graphs. • Documentation / Accuracy: This is not a scientific book; no research citations are listed. Power Yoga: Strength, Sweat, and Spirit is very thorough. It is well organized, which is important because there is a lot of material provided. Except for the gray pages (see below), the page design/layout is good. The color photos are well done and very helpful. In addition, thoughtful and inspiring quotes appear throughout the book. For many of the poses, the author makes claims that it will improve a specific health issue: ie., "stimulates the parasympathetic nervous system," "improves immunity," "flushes your digestive system," "stimulates the thyroid," etc. Without any support or documentation, these statements can be described as questionable to simply ludicrous. 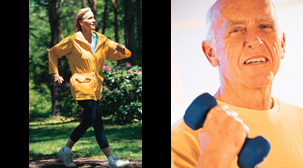 Unfortunately, these health claims undermine what is otherwise a really good resource. Aside from the unsupported health claims, Power Yoga: Strength, Sweat, and Spirit is an excellent resource, not only for beginning yoga practitioners, but for more experienced ones as well. I can recommend this book.